Today I wanted to make a quick post about a new service that is super exciting for the beauty industry. It's a slightly new type of service called a "glam squad," they provide the easiest way to get ready for your event. So what is a glam squad you ask? They are basically a one stop shop for all things beauty. They are a team of highly trained professional makeup artists, and or hairstylists that come straight to your front door! Now one glam squad I have to mention is my friends over at Bella Chic Glamour! They are based in New York, New Jersey, and L.A. But the best part is for all my local followers, there in talks of expanding to Florida! How exciting!! I seriously think the idea of a glam squad is the best new service in the beauty industry. I mean normally to have a whole team of people show up at your door to make you look fab, you would have to be a celeb, or super rich, or like a Kardashian or something. lol! But not with Bella Chic. All you have to do is book them through this link http://syleseat.com/bellachicglam and they will come get you looking fab for your event! 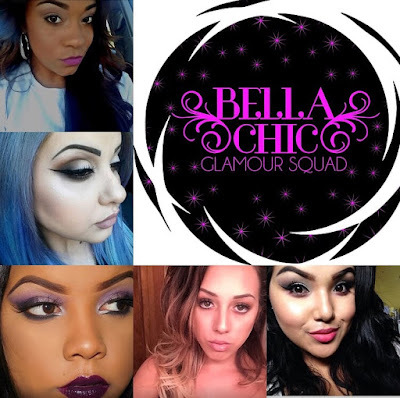 Also make sure you guys go show their Instagram some love @BellaChic_glamour <3 Tell them Savvy sent you!